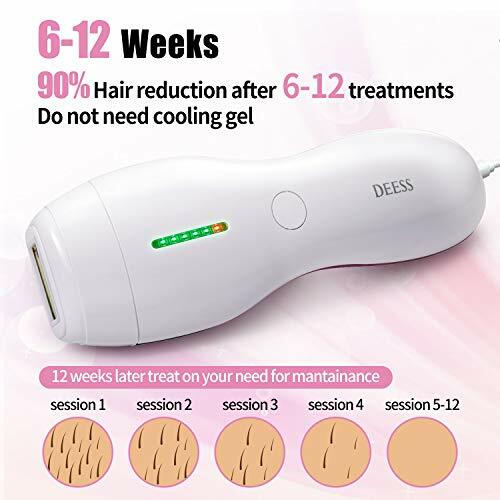 DEESS Permanent hair removal beauty device series 3 plus, IPL light home use, pink. 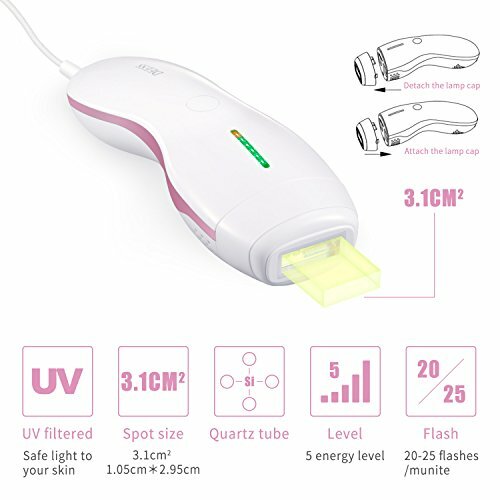 What skin and hair is suitable for hair removal function? Not for white hair, grey hair, red hair and blond hair. Built-in sensor will active the device after confirm your skin tone. 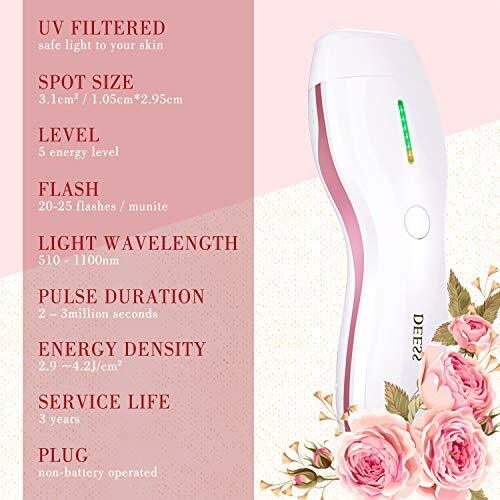 1 * Main body with hair removal lamp. 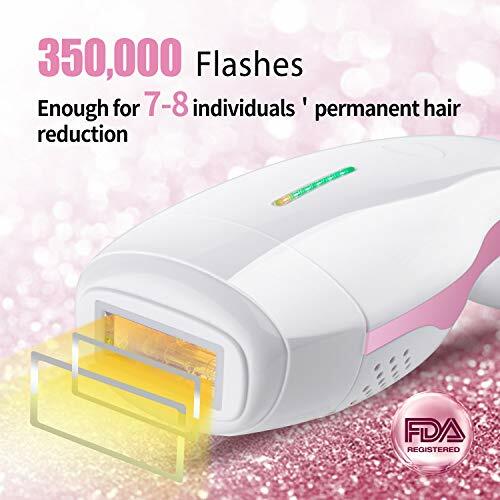 Effective results as treatment in beauty spa and salon.Model Clinical studies show up 70% hair reduction after the third treatment of IPL light. Hair coming back slowly and thinner after 5 treatments. 90%hair is gone after the 9-10 treatments with permanent results at home. 350000 flashes. 20 years' lifespan. Continue to use as necessary for touch-ups.No gel needed. With goggles.